Did you know that alumni can get married on campus? At the heart of Trinity stands the magnificent College Chapel, with a stunning view of the university landscape from its steps. The Chapel is a Christian chapel and all Trinity alumni who wish to have a Christian marriage are welcome to apply to get married in this unique location in Front Square. 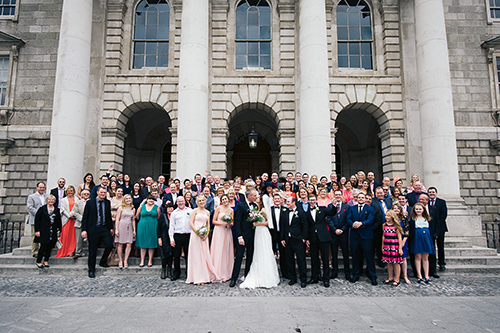 Application to marry in the College Chapel is considered when at least one partner is a graduate who received a degree from the University of Dublin having completed the course of study in Trinity College. Applications to marry in the chapel must be made by email to the to the Chapel Committee chaplain@tcd.ie or visit www.tcd.ie/Chaplaincy/chapel. At least six months’ notice is required for a marriage in the College Chapel.